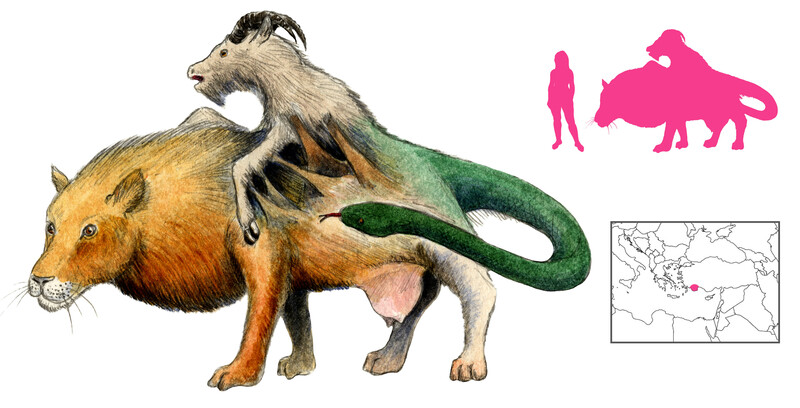 The Chimera or Chimaera (“goat”) was the daughter of Typhon and Echidna. She was the terror of Lycia in southern Turkey, killing people and livestock and torching crops. Homer describes her as being a lion in front, a serpent behind, and a goat in the middle, with the power of breathing fire. Hesiod specifies that she had three heads. The lion’s head was in its customary place, the snake’s head was on the end of the tail, and the goat’s head emerged tumorously from the middle. Hyginus gives all three heads the ability to breathe fire, while Apollodorus states that only the goat head could do so, functioning as some kind of shoulder-mounted flamethrower. While Homer’s description might suggest a lion’s head, a goat’s body, and a snake’s tail, the Chimera has been consistently represented in Greek art with multiple heads. Usually she is mostly lion with a snake tail; the goat has proven tricky to depict convincingly, ranging from a head to the entire front half of a goat. Some Etruscan renditions add wings. 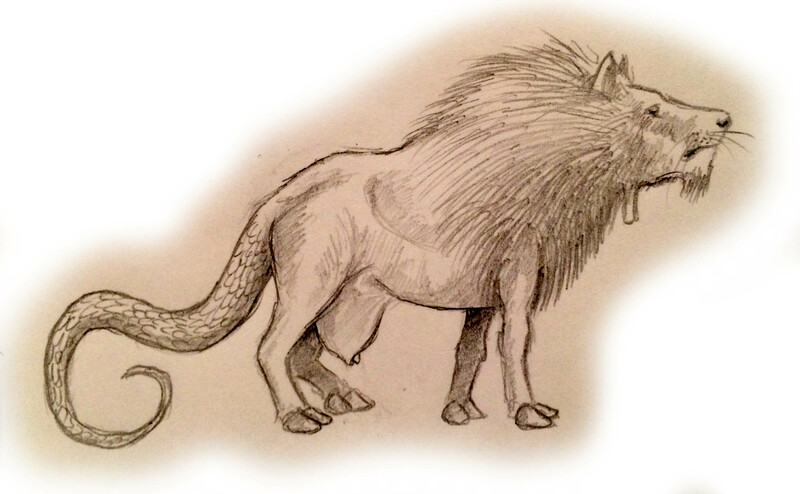 The iconography behind the Chimera may go back farther, and may be of Asian origin. The term has also been used to describe various unrelated hybrid animals, with or without multiple heads. She was finally slain by Bellerophon, who had been sent to Lycia to die. The wife of King Proitos had fallen madly in love with him; after he rejected her advances, she told her husband that Bellerophon had tried to seduce her. Enraged, the king dispatched Bellerophon to Iobates of Lycia, bearing a message requesting him to kill the messenger. Iobates sent him to battle the Chimera – surely an impossible task. But Bellerophon had the favor of the gods, and the aid of the winged horse Pegasus. Mounted on Pegasus’ back, he easily flew out of range of the Chimera’s fiery breath, and shot her to death with arrows. Some accounts add that he rammed a lump of lead into her throat, where it melted and suffocated her. Chimera was a study in contradictions. Her three components did not make any sense together. Her name meant “goat”, but the goat was the least coherent part of her, reduced to a mere head in an anatomically dubious position. Evidently something so contradictory as the Chimera needed a rational explanation, even to the ancient Greeks. Plutarch believed she was inspired by a pirate captain, whose ship was decorated with the three component animals. Servius Honoratus said she was a loose interpretation of the Lycian landscape. Mount Chimera was a volcano, with snakes at its base, goats wandering around its heights, and a pride of lions at the top. Bellerophon, arriving on his ship Pegasus, set fire to the mountain and eradicated the dangerous animals. The Etruscans dedicated the Chimera to the supreme god Tinia. The Etruscan Arezzo bronze of the Chimera remains the most enduring image produced of her. As a hybrid she was both celestial and chthonic, representing the year and the seasons. The lion, hot and strong, was summer; the snake, cold and ground-dwelling, was winter; and the transitory goat was spring and summer. In The Temptation of Saint Anthony, the Chimera is a great, green-eyed, dragon-winged creature with a luxuriant mane; she is as capricious as desire and imagination. She reveals breathtaking new perspectives to humans, pours insanity, ambitions, hopes, and dreams into their minds, drives people to dangerous quests, and kills anyone content in wisdom. She is woefully incompatible with the rational, stoic Sphinx, and their attempts at copulation fail. “Chimera” has entered our vocabulary in a number of ways, always in reference to incongruity. 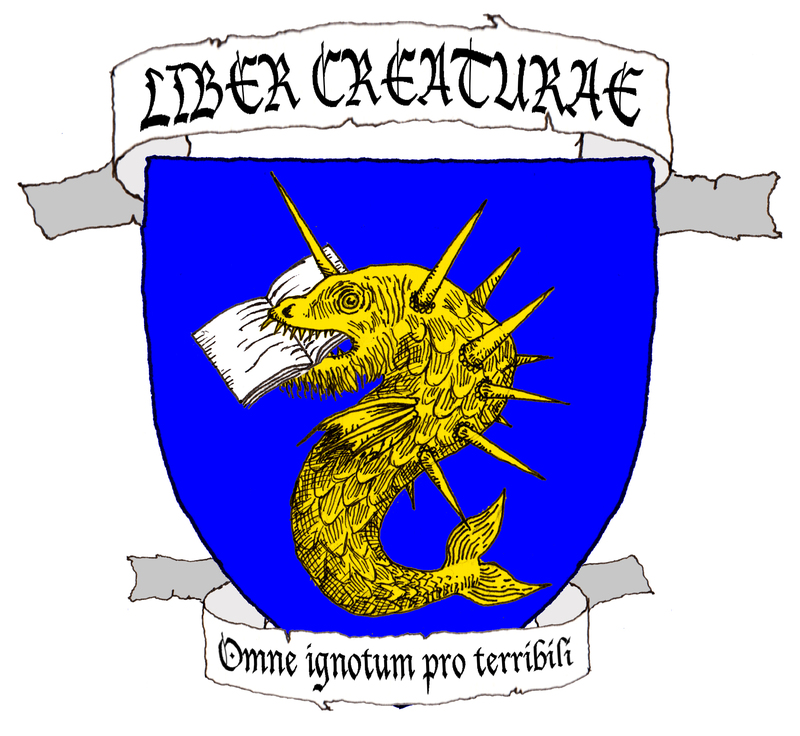 A chimera or something chimeric is fanciful, improbable, and imaginary. A chimera can also mean an organism with distinct cells from different zygotes. Finally, Chimaera is a genus of deep-sea fish, named after its bizarre appearance. 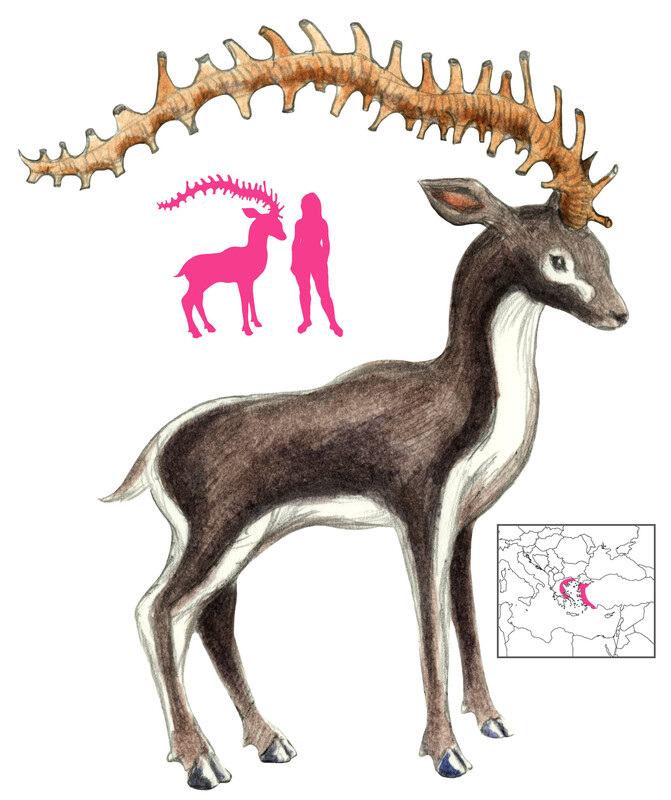 Bazopoulou-Kyrkanidou, E. (2001) Chimeric Creatures in Greek Mythology and Reflections in Science. American Journal of Medical Genetics 100:66-80. Hesiod; trans. Elton, C. A. (1832) The Theogony. In Hesiod. A. J. Valpy, London. Homer, trans. Buckley, T. A. (1851) The Iliad of Homer. Henry G. Bohn, London. Locatelli, D. and Rossi, F. (2010) Les Étrusques: Pouvoir – religion – vie quotidienne. Série Civilisations, Hazan. Roes, A. (1934) The Representation of the Chimaera. The Journal of Hellenic Studies, Vol. 54, Part 1, pp. 21-25. Schmitt, M. L. (1966) Bellerophon and the Chimaera in Archaic Greek Art. American Journal of Archaeology, Vol. 70, No. 4, pp. 341-347. Smith, R. S. and Trzaskoma, S. M. (2007) Apollodorus’ Library and Hyginus’ Fabulae. Hackett Publishing Company, Indianapolis. Till, B. (1980) Some Observations on Stone Winged Chimeras at Ancient Chinese Tomb Sites. Artibus Asiae, Vol. 42, No. 4, pp. 261-281.